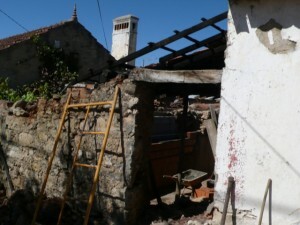 If you need to carry out a Renovation on a budget in Portugal we are here to help. With 12 years’ experience in helping people like you get the best out of their Portuguese homes, it’s no wonder that we understand that people have budgets and need to work within them. Unlike most builders in Portugal, we will talk through your ideas with you, ask questions and once we fully understand what you want to achieve we will make suggestions on how we can a help you to achieve the result that you want within your budget and timescales. We have a thorough understanding of planning restrictions and can help you achieve what you want without breaking the law. To the Castelo Construction team renovation on a budget is nothing new and it actually helps us to establish what outcome wanted more clearly. If you have a full blown computer drawn 3D plan or just your ideas sketched on the back of a cereal packet we would love to talk. Feel free to ask as many questions and you want. How to control costs on a construction project. Firstly there are many ways that you can be sucked into paying too much with many little things adding up to a big headache at the end of the project. We help you avoid these. We have met people who were so focused on their new build or renovation project that they had to go back to their home country to earn more money to finish off what had become a money pit. We have even heard of people who just upped and left Portugal because their dreams were broken. Of course, there are the odd occasions where we meet someone has bought a property which was not what they thought or were told it was. The unexpected cost of getting these properties in a situation where you can actually carry out some refurbishment work can often push people over their budget before the start. Don’t fall into this trap discuss your project early with us and we may be able to save you some money with our free advice.